See Jen's daily life on the farm via Twitter. "I want to jump in my car and drive to Sovereign, Maine!" -- Adeline W., Dover, N.H. Welcome to The Sovereign Series, five feel-good novels (and a companion cookbook in the works) about life in the country, penned by Maine farmer and author Jen Wixson. The books are set in the mythical small town of Sovereign, Maine (pop. 1,048) and feature a quirky cast of characters who weave in and out of the novels like old friends dropping in for a cup of tea. 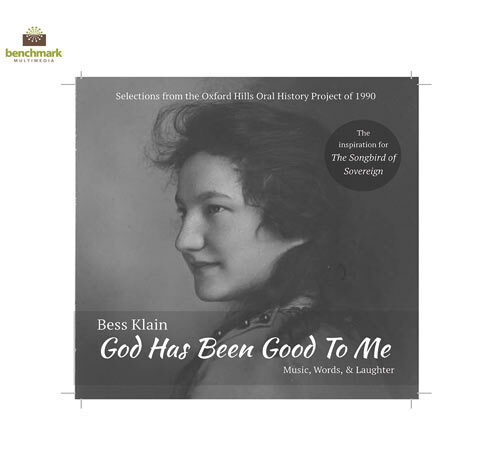 The first three books are narrated by Maggie the minister of the little white church; the fourth is her daughter Nellie's story. In the fifth and final book, Maggie's Dilemma, we say "goodbye" to our friends as Maggie finally finds peace and happiness at last. Each book is a standalone novel, although reading the series in the order in which the novels were written deepens your relationship with the characters, who soon become your new best friends. Fans of Jen's work have compared her tales to such classics as Anne of Green Gables (by Lucy Maud Montgomery) and Jan Karon's Mitford series. By allowing us to take a peek into this small world of kindness and goodness, Jen reminds us that, no matter how dark the world appears at times, love is still sovereign! NOTE: Jen autographs all books. If you would like a book personalized (as a gift, for example) please contact us after placing your order and let us know what you would like her to inscribe. The little book that started it all! 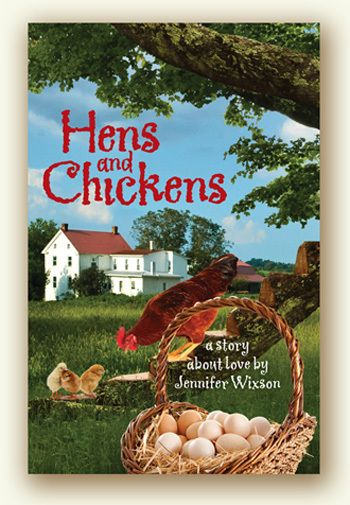 When Jennifer Wixson quietly published her reaction to the greed on Wall Street -- Hens & Chickens (Book 1) -- little did she know that the novel would strike a chord with readers across the country. The book follows the adventures of two women downsized by corporate America (Lila Woodsum, 27, and Rebecca Johnson, 48) who move to Maine to raise chickens and sell organic eggs, and discover more than they bargained for— including a wonderful community of caring residents and the true meaning of unconditional love! Hens & Chickens opens the book on Sovereign and introduces us to a recurring cast of characters, including the handsome carpenter Mike Hobart, and the entire Gilpin clan. A little tale of hens and chickens, pips and peepers, love and friendship, Hens & Chickens offers a much-needed remedy for today's frantic, fast-paced world, leaving readers with an uplifting sensation similar to that described by Ralph Waldo Emerson as "a certain cordial exhilaration." White Wave Publishing, August 2012, 262 pgs. The love continues! 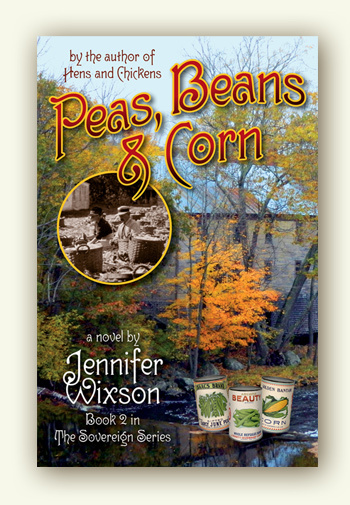 Peas, Beans & Corn (Book 2) carries on the good feeling inspired by Hens & Chickens, when Maine Army Guardsman Bruce Gilpin, 35, returns to his hometown of Sovereign with the secret dream of restarting the old sweet corn canning factory. He’s encouraged in his new mission by the passionate organic foodie Amber Johnson, 21 (Rebecca's daughter) who reawakens his tired heart. However, the course of their true love soon becomes muddied by their well-meaning mothers, and by the arrival of Bruce’s ex-wife Sheila, and the handsome corporate attorney Ryan MacDonald, who hits town to rusticate. History pervades Peas, Beans & Corn, a little tale of hummingbird moths and morning mists, horse-drawn sleighs and corn desilkers, with a surprising and satisfying connection to the poet Emily Dickinson. White Wave Publishing, June 2013, 288 pgs. A legacy of love! She's the most popular resident of Sovereign, Maine yet no one in this rural farming community of 1,048 souls has ever known the story behind Miss Hastings' seven decades of dedication to schoolchildren. Now, Maggie the town's minister sets out on a quest to plumb the mystery of Miss Hastings' past before the retired music teacher -- nearing her 89th birthday and in failing health -- departs this world forever. Much like a fine tapestry The Songbird of Sovereign (Book 3) weaves from the 1940s to the present day revealing the story of Jana Hastings, a child musical prodigy who once graced the stages of New York. When an illness cuts short her career, Jana is sent to Windmere Sanatorium in central Maine for the treatment of TB. While at Windmere various events -- including first love, first loss, and the thundering approach of WWII -- catapult the self-centered teenager into mature womanhood. 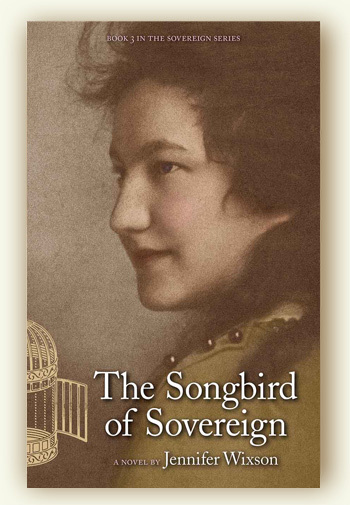 A poignant, stand-alone novel The Songbird of Sovereign is perhaps Jennifer's best literary effort in the series. Don't miss this one! White WavePublishing, July 2014, 274 pgs. Like mother, like daughter? Tall, blonde and beautiful, Nellie Walker, 22, daughter of Maggie the minister, is also self-centered and a bit of a snob. When a tragic loss leaves Nellie alone in the world, she returns to Sovereign to initiate a search for the father whose identity her mother has never revealed. Helping Nellie find her father is the compassionate country doctor, Metcalf Bartholomew Lawson, 29, known locally as “Doctor Bart." With Nellie's aid Doctor Bart realizes a long-time dream to open a free medical clinic in Miss Hastings' former music studio. Doctor Bart's other dream is to make Nellie his wife. Unfortunately, Nellie has other ideas and can't keep a handsome stranger, Walden, the "Mushroom Man," out of her mind. 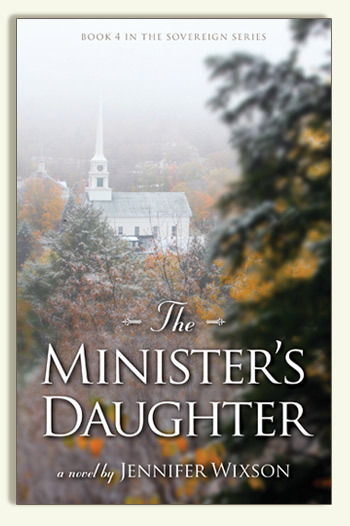 The Minister's Daughter (Book 4) is a sweet story filled with the stuff that makes Maine wonderful: hand-made quilts, Needhams (chocolates), wildlife watching, tidbits of Maine history like mortgage buttons ... and so much fabulous food that the book will leave you wondering whether you can reach Sovereign in time for suppah!
" ... the best book in the Sovereign Series." "This is the best book you have ever written!" White Wave Publishing, Sept. 2015, 302 pgs. 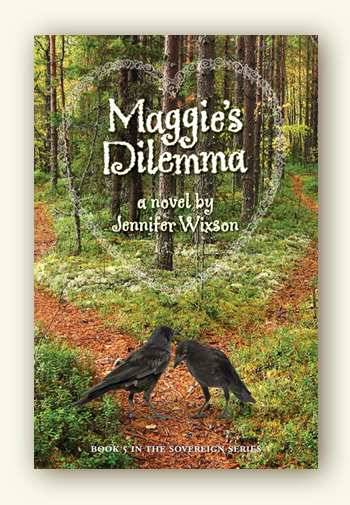 "Two roads diverge in a yellow woods..."
Two-and-a-half years after the unexpected death of her husband, Maggie the minister finds herself romantically pursued by the noted environmental activist David Faulkner, Walden's uncle, who has come to teach at Unity College. But Maggie is happy with her life at 60 and isn't sure she's ready for a committed relationship. Before she knows it, however, she's engaged to David. She believes she's done the right thing--until Duncan Faulkner, David's brother (Walden's father), an Episcopal minister, shows up in Sovereign. 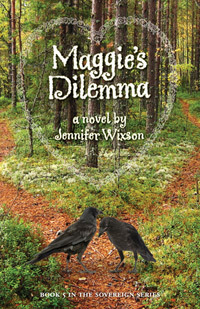 Spending time with Duncan, Maggie comes to realize there is a world of difference between the two men. Maggie quickly discovers--too late!--that she's engaged to marry one brother, but is in love with the other. Further complicating her life, an investment advisor from the city, with whom Maggie has the slightest of acquaintances, has used her name to drum up business with her friends. Should she give them a heads-up that he could be nothing more than a Wall Street wolf in sheep's clothing? Or should she keep silent and let the chips fall where they may? Maggie chooses to says nothing, and as a result Wendell and Rebecca could lose the old Russell homestead, which they have been rebuilding for their late-in-life son, Tad. Funny, poignant, and soul-searching, Maggie's Dilemma reveals that love -- and Life -- sometimes don't get any easier in your seventh decade! Order your autographed copy of the final installment of Jen's Sovereign Series! White Wave Publishing, Oct. 28, 2017 310 pgs.